You can choose to override your Photo Upload plug-in settings for each individual photo. This is achieved by providing alternative values for the settings in the plug-in’s “All Plug-in Metadata” properties for each photo. You can find the Metadata panel in Lightroom’s Library module. The overriding settings are specified in the Photo Upload plug-in’s “Settings” metadata. 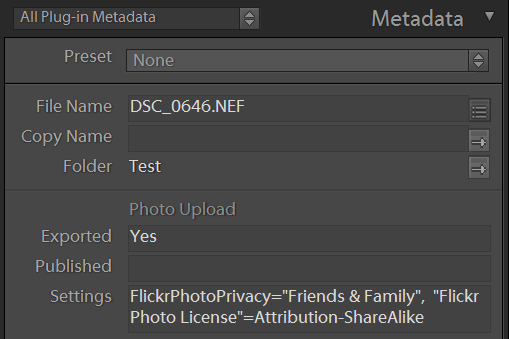 This can be found in the Metadata panel within Lightroom’s Library module, under “All Plug-in Metadata”. The setting name and value should match the setting names and values available from the plug-in’s Settings window. You can choose to put the setting name and values within separate double quotation marks and to remove the space characters from them. Some settings that allow you to choose from a list have an option in the list for “Metadata”, e.g. the Photo title or Photo summary. If you select this option then you can determine the setting value by including the suffix “:Metadata” to the setting name of the entry. PhotoSummary:Metadata="Plug-in available here - http://www.newpproducts.com"
The setting name can optionally be prefixed by the name of the service. This helps when a setting name such as “Photo Privacy” is used for more than one plug-in service, e.g. 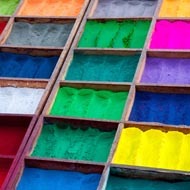 in this case for 500px, Facebook, Flickr, SmugMug and Tumblr. 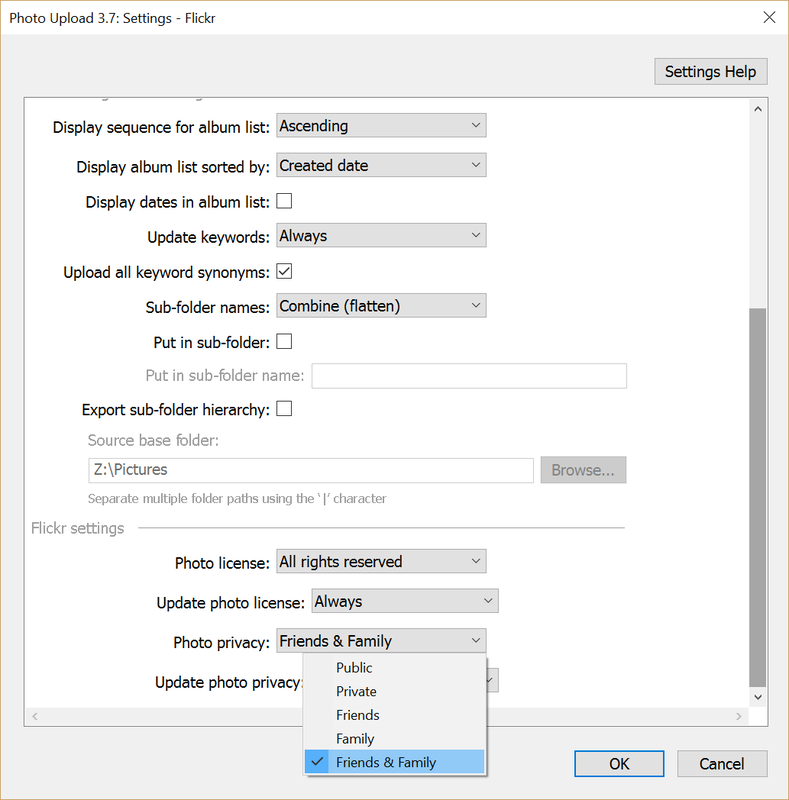 "Flickr Photo Privacy"="Friends & Family"
More than one setting can be overriden by listing pairs of setting names and values and separating them with commas. See the Custom Text section on the Settings page for a full list of Lightroom metadata.